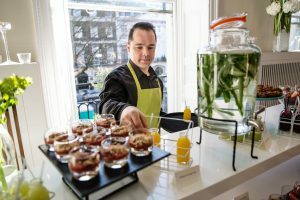 We are celebrating the long days of summer at 41 Portland Place with a special offer: for every new booking that takes place before the end of August, 1 in 10 delegates goes free! Applicable on our classic conference or step-up packages which cater all your guests’ needs. Prices start from just £55*. 41 Portland Place offers prestigious meeting rooms in the heart of central London and the highest levels of service for a smooth event. Contact Hannah on 020 3141 3255 today to make your enquiry.